Swedish agency Åkestam Holst has spent the past year using Ikea to explore family dynamics in all shades—from relationship longevity to divorce, and most recently, a troubled passage between a father and daughter.But while those ads were fairly subtle, its latest effort minces no words. 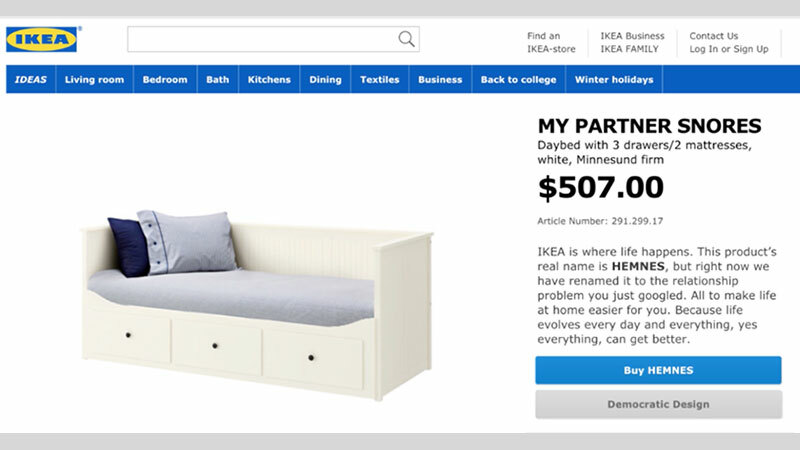 "Retail Therapy" puts Ikea's "Where Life Happens" campaign into blunt action with a website where products are renamed to match common Google searches in Sweden. 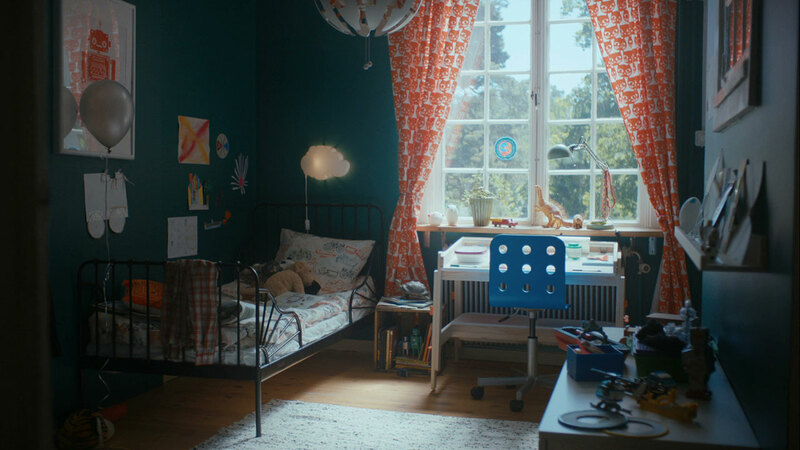 In Ikea Sweden's latest spot, "A Good Listener," a familiar family drama unfurls.You don't get all the details, but you know the code: A teenage daughter, increasingly agitated for mysterious reasons, returns home every day and locks herself in her room. Her father sits just outside, waiting for the day she's ready to let him in. 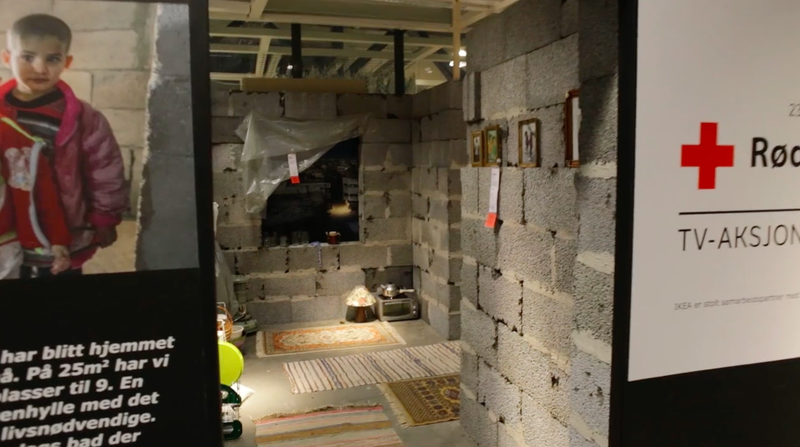 Here's a fantastic use of in-store media by Ikea to bring the reality of the Syrian crisis home to those enveloped in the comforts of the West—indeed, those right in the middle of shopping for those very comforts. In February 2010, sun-loving Australians who showed up at Sydney's famous Bondi Beach encountered something more than the usual towels and umbrellas. Thirty red bookcases snaked through the sand, stuffed with thousands of books ideal for beach reading. Proceeds went to charity, but the publicity went to Ikea. The stunt commemorated the 30th anniversary of the Billy bookcase. The first trip a person makes to Ikea is often with his or her parents. 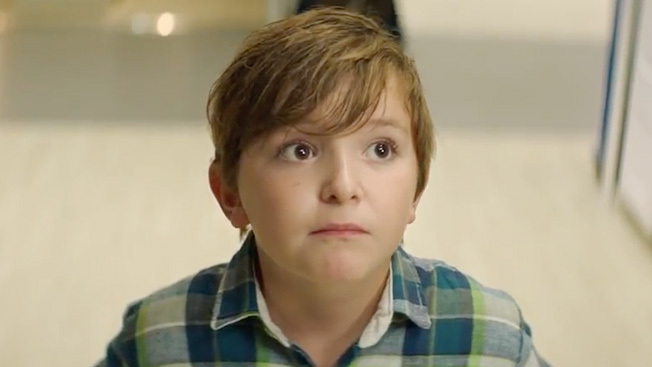 Buzzman Paris brings that bittersweet visit to life in "My Son," an ad that opens on a mom strolling the store with a boy who can't be more than 10 years old. For someone so young, the kid proves oddly precocious. He makes a beeline for a kitchen island, admiring the surface material. He lauds the practicality of slide-out drawers, and measures furniture while his mother wistfully observes. As we've mentioned before, very few companies explore the topic of divorce, or its ramifications for families, in their advertising. 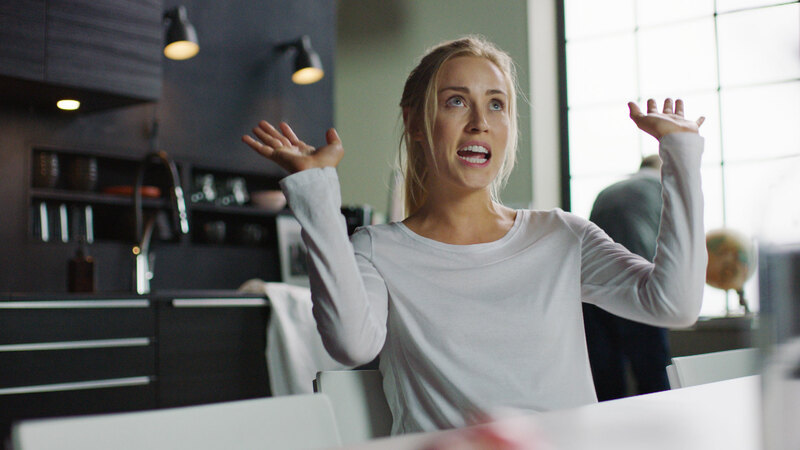 It's just too depressing, the thinking goes, even if it's also, of course, relatable to so many millions of people worldwide.A few brands have taken the risk—Honey Maid, of course, and also Ford, which rolled out this beautiful and sad short film earlier this year.Now, it's Ikea's turn. Check out the spot here. 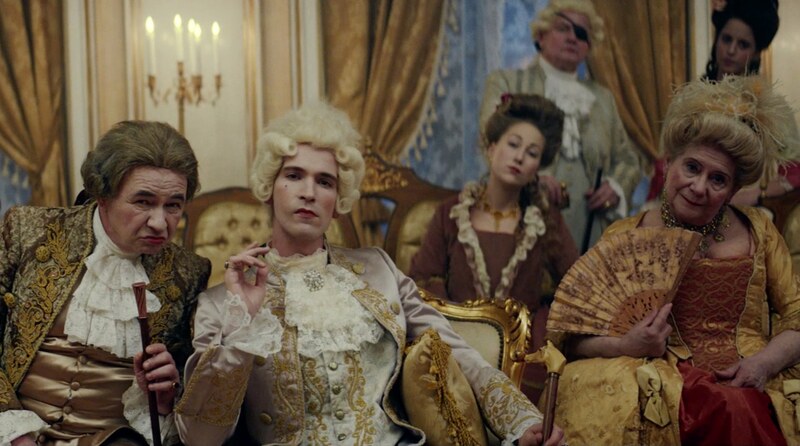 The humans sprinkled throughout the Ikea catalog traditionally have been pure background material, a supporting cast to the furniture and other brand goods for sale. But no longer!In this spot from DDB Brussels, they speak out, during the photo shoot for the new catalog, about their hopes and dreams, display their impressive thespian chops, and most of all, are thrilled to be poised on the cusp of what will surely be worldwide fame on the A-list level. Earlier this week, an updated take on a famous anti-drug PSA posed the classic question: "This is your brain. This is your brain on drugs. Any questions?"Nope. 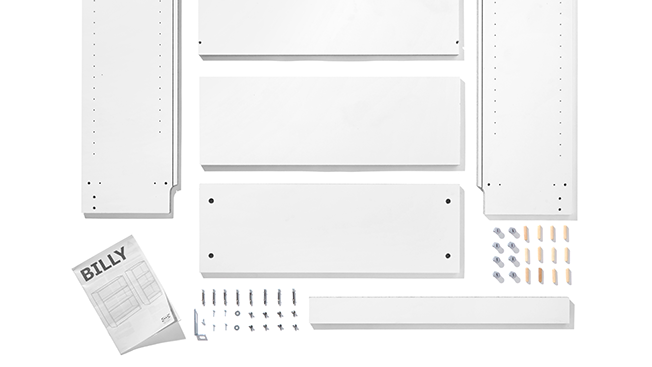 But what about your Ikea furniture on drugs?Hunter Fine and Alex Taylor are two veteran copywriters who met several years ago while working at BBDO New York and continue to collaborate on the occasional side project. Last year, they were discussing the shared frustrations of building Ikea furniture when a friend noted that the experience would be particularly difficult for someone under the influence of certain intoxicants.Using the power of the pun, they then developed the idea for "Hikea," a video series in which they recruited several willing strangers to go on camera, take substantial doses of psychedelic drugs, and attempt to construct new desks and drawers without injuring themselves in the process.We think it's fair to say that they experienced varying degrees of success. In the first episode, things went predictably awry for Giancarlo and Nicole once the LSD kicked in. 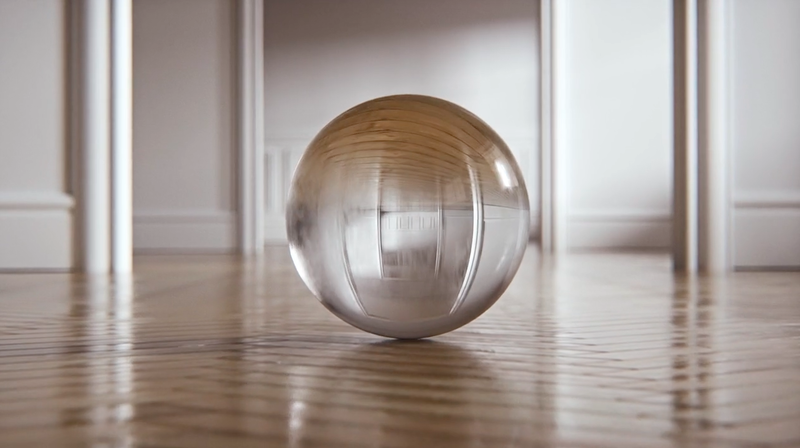 Ikea rolls into an awfully strange space with its latest campaign.As you may notice, there's no furniture in this artsy ad for the Swedish furniture store, but there is an attractive glass orb that clack-clack-clacks across the parquet floor of an empty, sun-splashed, high-ceilinged apartment—so that's something.